Although being pregnant doesn’t immediately make you an expert on the subject you do amass a vast amount of new knowledge in a very short period of time. 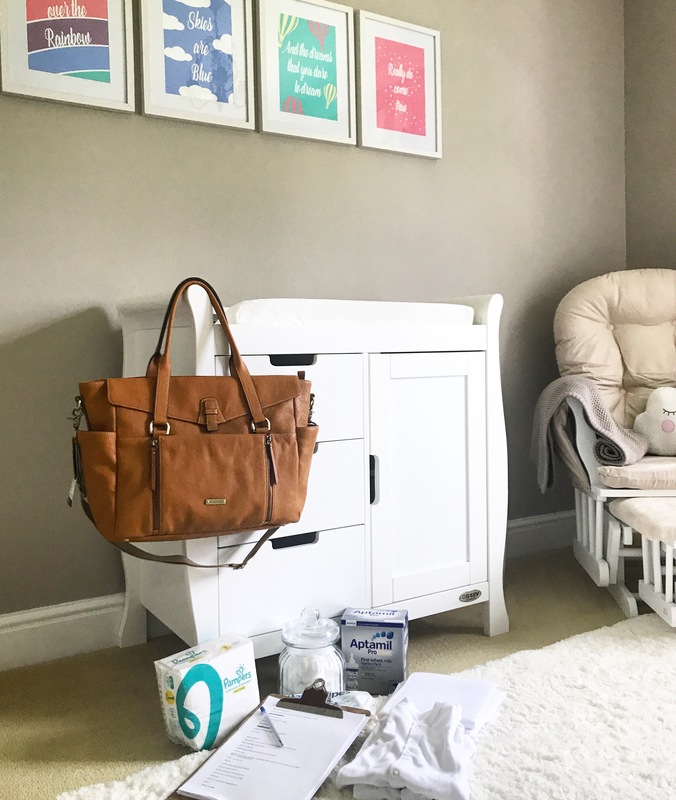 From reading books, surfing through blogs and downloading apps to chatting to other Mums and of course your own doctor and midwife appointments you can sometimes feel swamped with information. What’s more lots of it is contradictory – as everyone has their own opinions and every single pregnancy is different! 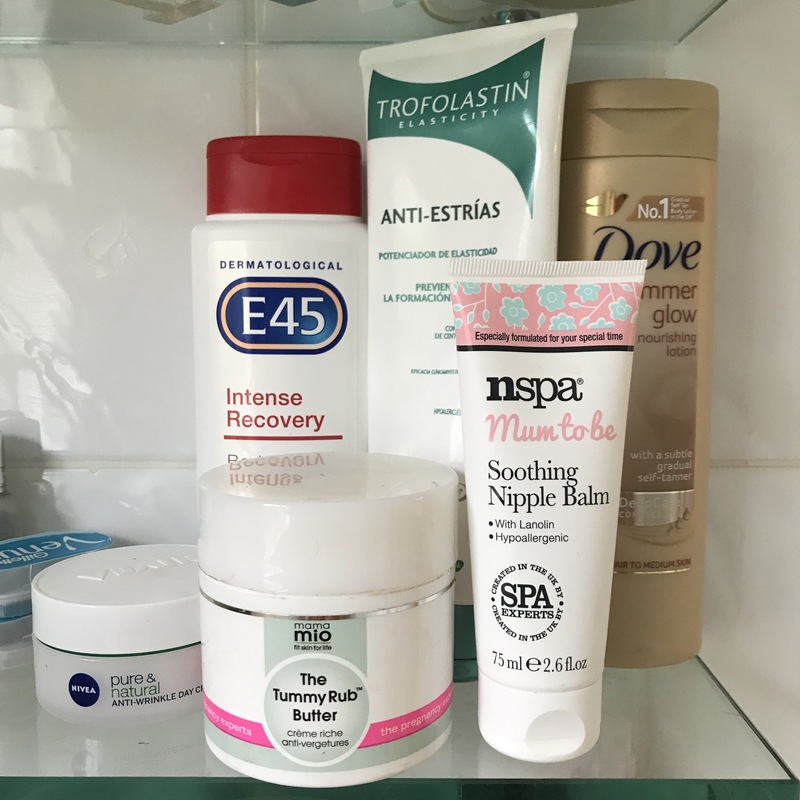 Having said that I do feel I have learned enough useful tips, information and advice for a blog post that will hopefully be useful for any expectant Mums. 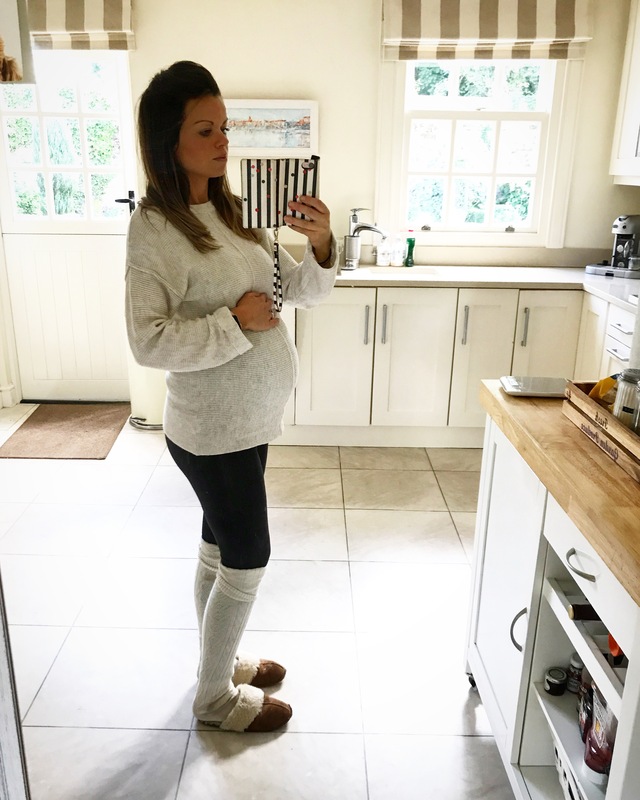 Everything from my take on who sells the best maternity leggings to the emotional journey that the 9 months can take you on plus how to keep on top of the inevitable weight gain. This is by no means an exhaustive list or a prescription for your pregnancy, as I mentioned previously every pregnancy is different. Mine has been relatively straightforward so the things I advise and what worked for me may not be best for everyone, but hopefully there will be something useful for you to take from it. 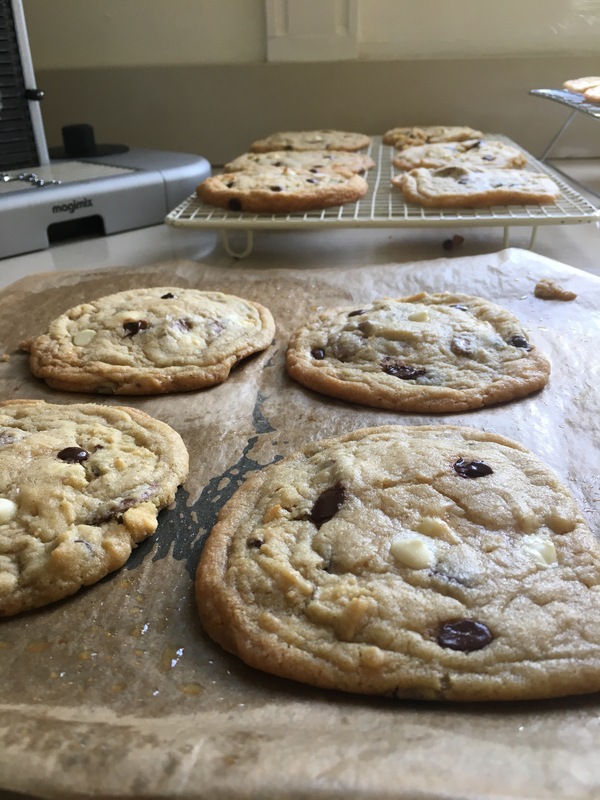 It’s a lot of information (sorry I just didn’t want to leave anything out) so I have split it into the three trimesters with a bit at the end covering cooking, eating and nutrition, as that’s my thing! As you probably know pregnancy is split into three trimesters, each one is quite unique symptom wise and has different challenges and benefits. The first lasts until 13 weeks and I definitely found this one the hardest. Although I didn’t suffer with morning sickness I felt totally drained and exhausted the whole time. It’s a totally overwhelming exhaustion that seems to seep into your bones, really incomparable to anything else, to use the word tired is simply not enough. It was the peak of winter and I was permanently freezing cold and doing anything was a real effort and struggle. 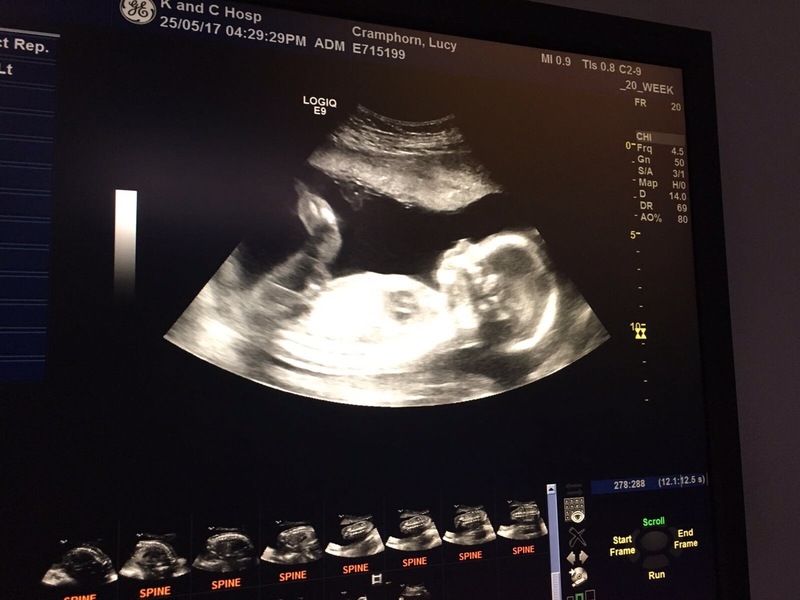 Most people tend to wait until the first scan (around 12-13 weeks) to tell people they are pregnant so you really are suffering in silence here. What’s more with 1 in 4 pregnancies ending in miscarriage (85% of those happening during this time) it’s a really scary time too. Time seems to take about 4 times longer to pass, I definitely felt like I was willing the weeks on here. Never the less I did get through it and looking back I guess it was good to have the hardest bit out the way at the beginning! Fitness and exercise is something I felt really passionately about keeping up during my pregnancy. While it’s really tempting to just do nothing during this time, as you do feel really rubbish, I managed to keep up my workouts which looking back I am really pleased (and proud) about. I actually found that the exercise gave me more energy and it really helped with my emotions. The hormones during this time can be quite consuming so the hit of endorphins from exercise was literally a godsend. I think also it’s important to start as you mean to go on, it’s so easy to stop exercising and then you find you can’t get back into a routine, but there’s so many benefits to exercising while pregnant. 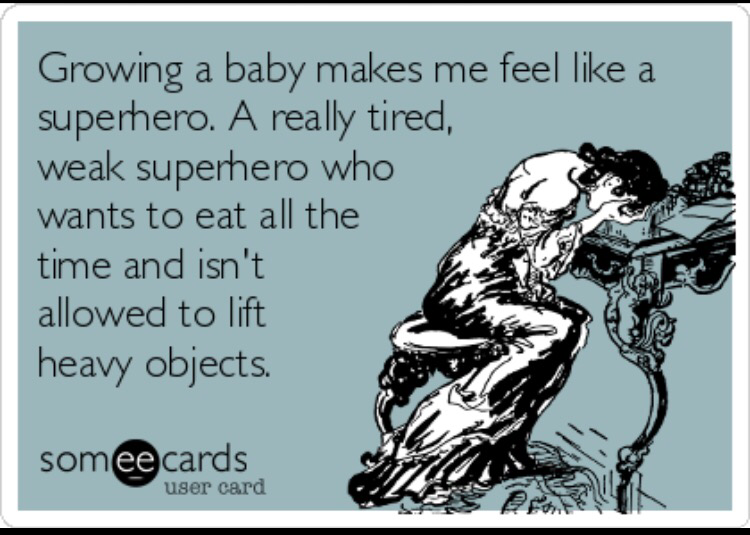 I fully believe it has been a big contributing factor to making my pregnancy enjoyable. During this trimester I choose frequent but short bursts of exercise that I did alongside a DVD, they were over quickly and I didn’t need to leave the house. My top tips for surviving this are to sleep as much as you need to, don’t feel bad for getting into bed at 7pm, if that’s what your body is telling you to do. Be extra kind to yourself, practice all the self-love; bubble baths, good books, download new music and just take it easy! 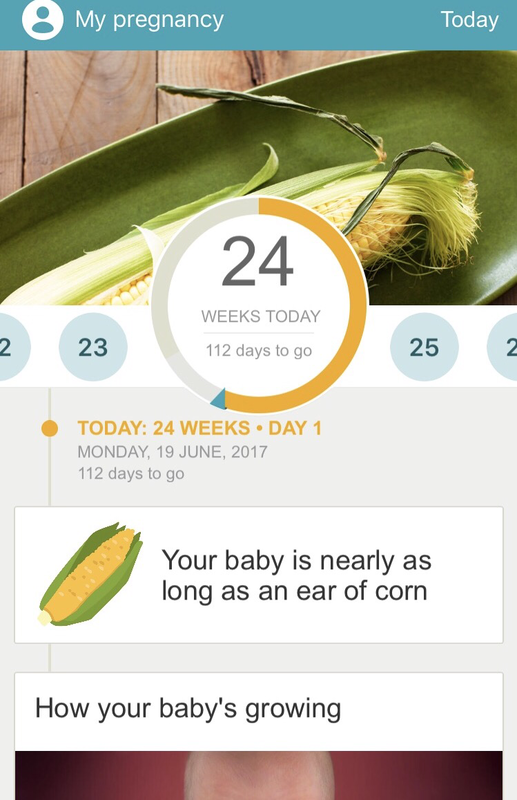 Also now is a good time to download some pregnancy apps like glow and baby centre; they will keep you amused by comparing your growing baby to various bits of fruit. Trimester two, sometimes known as the honeymoon period, bought with it a much needed energy boost. The weather was slowly improving and spring if not summer was on the horizon at least. It’s here you start to notice your body changing. Although I didn’t have a ‘bump’ until I’d say my mid 20 weeks I was gaining weight and I would get very bloated throughout the day. Mentally I did start to struggle here with my body image, you don’t look pregnant but you’re gaining weight, which for anyone (especially someone with a history of anxiety and negative body image controlled by restrictive eating) can be tough. Also people know you’re pregnant now and they will start to look at your tummy as soon as they see you and will comment. It’s the only time it’s deemed ‘socially acceptable’ to comment on someone’s shape but in my opinion it really can be one of the hardest parts of pregnancy. I, like most women, do not really want anyone to comment on my body or weight, especially if it’s to tell me how big I am. People will start to touch you without asking, tell you that you’re already looking big or not big enough, or my personal favourite “at that awkward stage where you just look a bit fat”. Unless you have the skin of a rhino it’s really hard not to take offense and take these comments to heart. I myself have learnt a huge amount and will be so mindful of commenting on anyone’s pregnancy shape in future. Tell a woman she looks glowing, beautiful and healthy instead of commenting on her size, it really will earn you a lot more brownie points. By all means touch the bump but please ask first, I never minded as long as someone asked me. So what else is good about trimester two? More energy, more motivation to do things and you can pretty much live your life as normal here as you’re not too big that your bump gets in the way of anything. 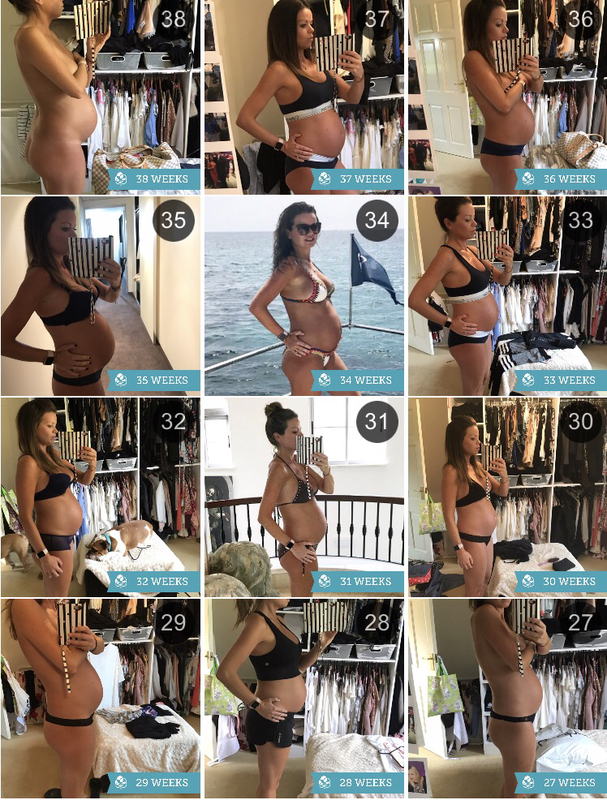 I increased my exercise during this time with training sessions in the gym, alongside a personal trainer, where we focused on weight based exercises that would strengthen the muscles I would need during pregnancy and birth. I didn’t really do my DVD anymore but instead just tried to be as active as possible, my job during this time got incredibly busy. I am very active at work so I found this, along with the dog walking was more than enough. 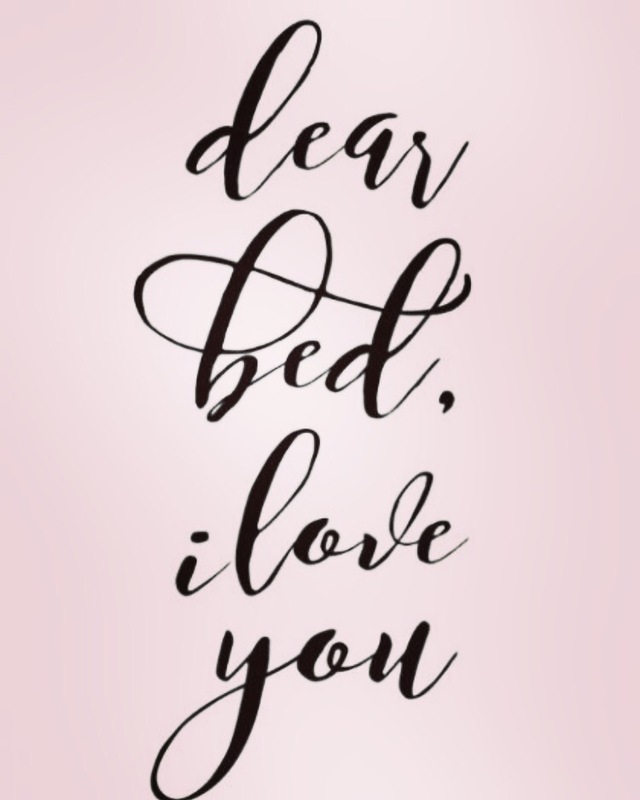 I found sleep came easy as I was just so exhausted by the time I got into bed. During this time it’s a really good idea to get some maternity pieces. It can be really disconcerting not being able to fit into your favourite clothes anymore and it can be hard to feel good about yourself. But if you buy now and choose wisely not only will the clothes grow with you until the end of your pregnancy you’ll be able to give yourself a much needed confidence boost. Maternity wear is definitely on the up, In a few years I am sure it will be even better but it’s got quite a bad rep. I found after one very unsuccessful trip to town that the computer was my saviour. Unless you live in London most shops don’t keep any maternity ranges in store so I ordered online and sent back what I didn’t like. All of the companies I used had a really easy return policy, you can get free next day delivery if you’re clever with your Google search and you get to try on the stuff in the comfort of your own home. Use this time to order a few things that you wouldn’t usually choose, I did just that and I felt really good about my mini makeover. I experimented with new shapes and fabrics and had fun reinventing myself. Don’t get me wrong I spend 75% in leggings and a comfy top but I enjoyed dressing for holidays and social occasions in something a little different. Also make friends with things like jersey maxi dresses and stretchy non-maternity ware, anything without a zip or a fixed structure you can probably just go up a size or two. I loved shirt dresses, oversized jersey tops and playsuits. My favourite places to shop were the below, I would really recommend treating yourself to a pair of Seraphine seamless over bump maternity leggings. I think I’ve worn mine over 50 times, even to the gym, and they are the comfiest things ever! It was too expensive for me to get other bits from there but I am so happy I got the leggings. ASOS – huge maternity range that increases almost daily, great value basics and really good for dresses too. They stock New Look maternity too as well as other brands so is a good one shot shop. Boohoo – Slightly cheaper so excellent for basics and maxi dresses for under £15. H&M Mama – This was my favourite for basics and essentials, I loved their leggings. Isabella Oliver – This is expensive BUT they do have regular sales. I signed up to email notifications (there’s a lot) and I treated myself to a dress when there was 25% off plus got a jumpsuit as a birthday present. It’s really good quality and makes you feel great when you wear it. Primark- this doesn’t have a maternity section, as such, but its brilliant for going up a size or two and is a great way to try something new without breaking the bank. Trimester three is when things start to get really interesting, body wise. You’ll also have loads to do now to get ready for baby, if like me you’re a worrier you probably will have held off until now to get things ready. You will probably start any antenatal classes now, this is a great way to meet new Mums to be and you might want to start thinking about the birth. 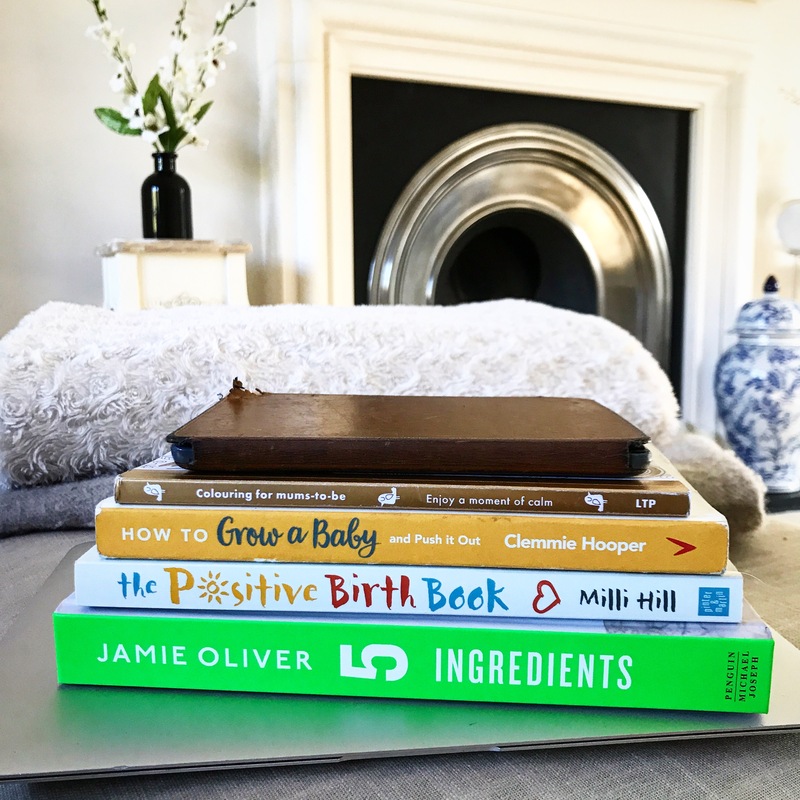 I really recommend reading the positive birth book by Millie Hill and also looking into hypnobirthing. I found it to be such a positive experience that has helped me to remove any feelings of anxiety associated with childbirth. You will start to get tired at this point but if you keep active and keep going I think you can maintain energy levels. Invest in a pregnancy pillow, you can pick one up from amazon for about £25, it took me 3-4 days to get used to but once I did I slept so well. Cocooned like I imagine my baby is. I took so many pictures of my changing bump and it’s trimester three where I really started to fall in love with it. As I mentioned earlier I did struggle with the changes at first. I’d say the turning point for me was about week 27 when I really started to embrace my new, growing shape. All the wonderful movements make me feel like I was never alone and I can 100% say I really will miss my bump. I feel so empowered and am constantly amazed by what the female body can do- not only mine but I’ve a new appreciation for all women – we are so unique and beautiful. Try and fall in love with your bump if you can, I probably drove people mad with all my bumpies and posts but it helped me to feel good about myself and build up a positive relationship with my body shape. So what about these unwanted pregnancy symptoms? For me one of the most annoying was the congestion. Apparently 30% of us suffer with it while preggo, I am constantly congested, and I often have to sleep with my mouth open and sound like Darth Vader a lot, cue the heavy breathing. You will literally need to pee all the time; it becomes a joke how often you’ll go. Towards the end I’ve even pee’d a little bit when sneezing too, which is just lovely, as you can imagine. Lots of women get heartburn and I did have this once or twice, but it was when I had eaten out in some restaurants with lets say, a very different style of cooking to myself. 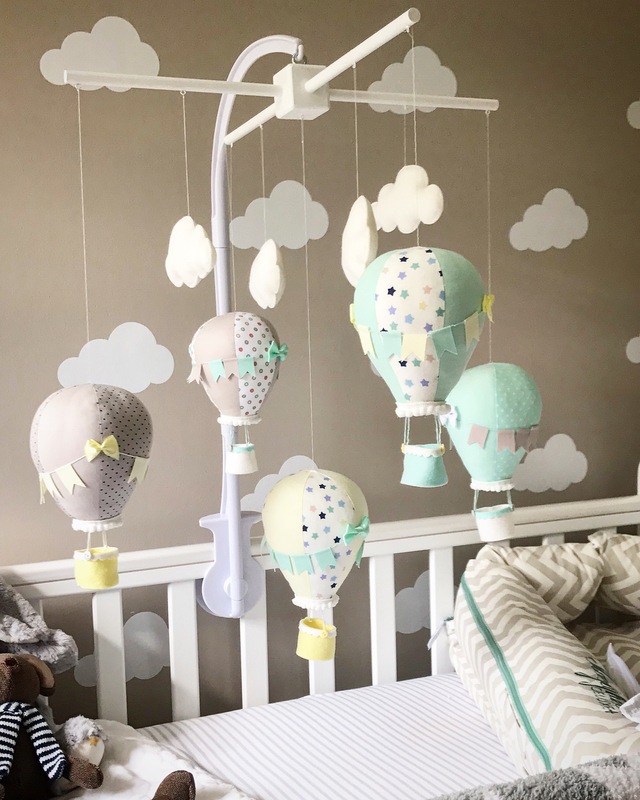 During trimester three it’s a perfect time to get the nursery ready. I choose to order a lot of stuff online because I was still working long hours and the computer was my friend while on the sofa at night. 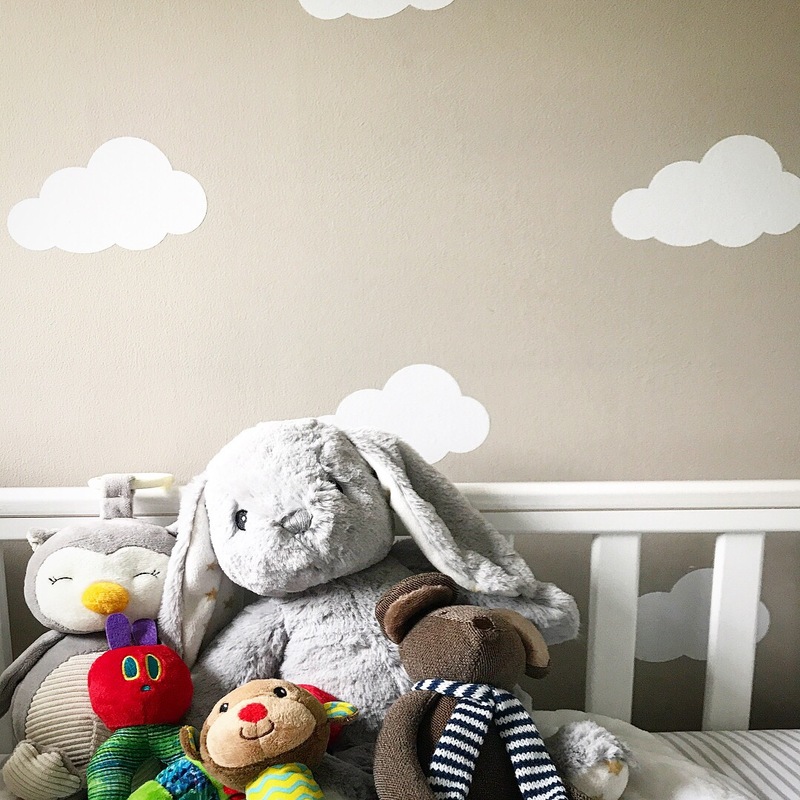 EBay is brilliant for nursery things, Matalan, Dunelm Mill, Mammas and Pappas and in store at TX Maxx. Have a baby shower and you’ll probably get lots of lovely gifts too. Pack your hospital bag, there’s a good checklist here. Rest as much as you need to/have time to. I will say this everyone will have an opinion on what you should be doing at this stage. I am always being told I need to rest more, but I know in myself what I am doing is perfect for my body and activity level. I am resting, nesting and being active within my limits. You know your body better than anyone so don’t take peoples comments to heart too much, at the end of the day everyone is just concerned for you but it does get a little bit annoying after a while, having to defend what you’re doing! I added swimming into my exercise routine here, as it’s great for getting baby into the right birth position, plus it’s gentle on your body. If you have a pool near you I’d really recommend swimming and even aqua natal classes, these are especially for pregnant women and are a really good way to meet people too. 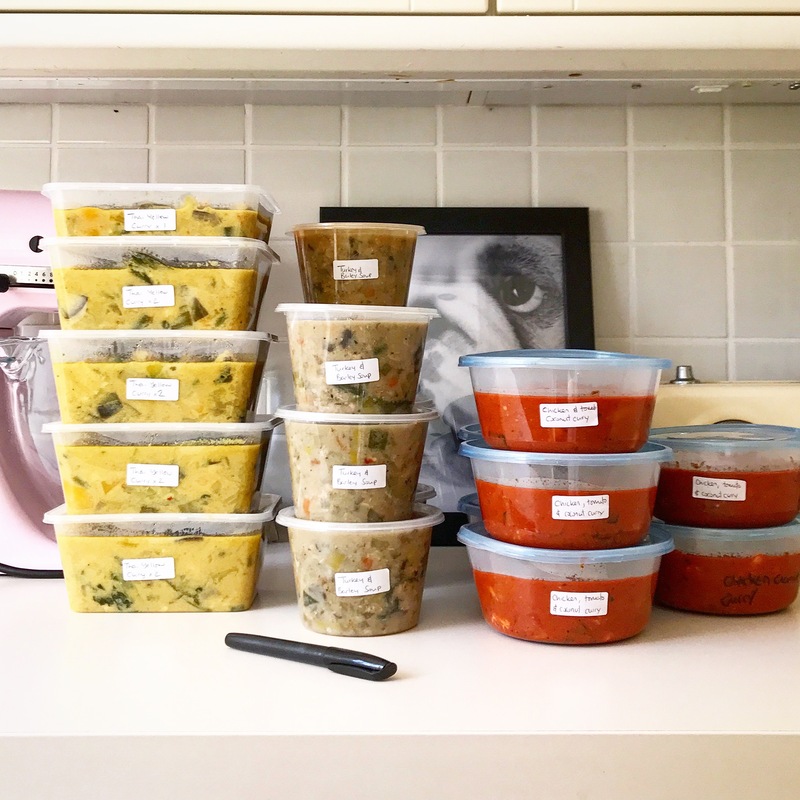 Batch cooking is a great idea in this trimester, especially if you have a big freezer, clear out what’s in there now and write a list to stick on the door shelf-by-shelf, so you know what you have. This will save you staring aimlessly and pondering. 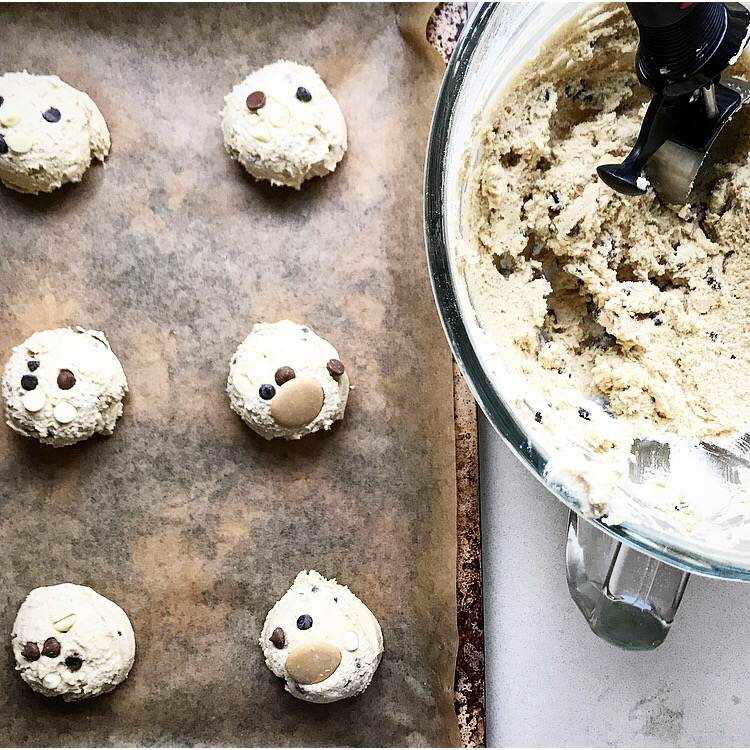 Try some of these recipes from my blog, they all freeze really well and will take care of your nutritional needs once the baby is here and you’re too tired to shop and cook. Lastly I want to touch on food in general. Good nutrition is SOOOO important when you’re pregnant. It can be tough as your tastes may change and you may go off certain foods while craving ones you don’t usually enjoy. I found I wanted more sweet things and a lot more carbohydrates than usual. I tried to stick to my 80/20 rule but perhaps it became more 70/30. 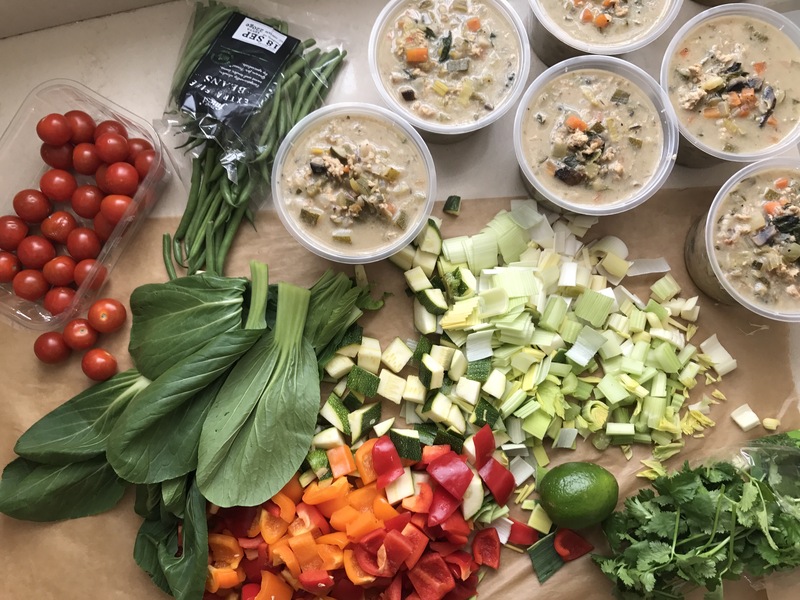 I was really vigilant about getting all my vegetables and nutrients in, I found if I made my soups and stews for lunch and had a healthy dinner I could cover all bases. I did increase my snacks though because I was hungrier and felt I needed the energy boost. To sooth my sweet cravings I ate a lot more fruit, I snacked on sugar free jelly, yogurt covered rice cakes and biscuits. I really craved cereal so would snack on this too. I just ate what I fancied but tried to make healthier choices and as I said keep my meals the same plus staying active. I really wanted to keep the weight gain to a sensible amount and keep up with my nutrition, as it’s so important for my mental health as well. 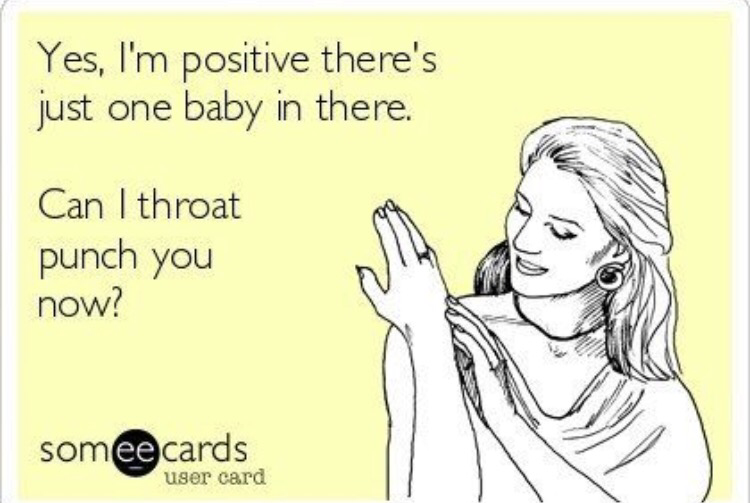 Plus your immune system and the development of the baby. You can be more relaxed but you don’t need loads of extra calories, it’s tempting to comfort eat but try to be sensible if you can. I feel like I’ve really enjoyed the food I have had while pregnant, have had lots of treats and chocolate but I haven’t gone crazy. It’s all about balance. Overall I have loved being pregnant. It’s definitely had it’s challenges and the rollercoaster of emotions hasn’t always been easy to handle but I have really loved it. I will miss my bump and the constant movement of the baby, plus I think you generally feel a bit special when you’re pregnant and I expect I will miss that too. You can still have an amazing, enriched life while pregnant you just need to be mindful and make tweaks and changes to your usual routine. I hope you’ve found my thoughts useful and if you do have any other questions then get in touch I am always happy to talk to people! 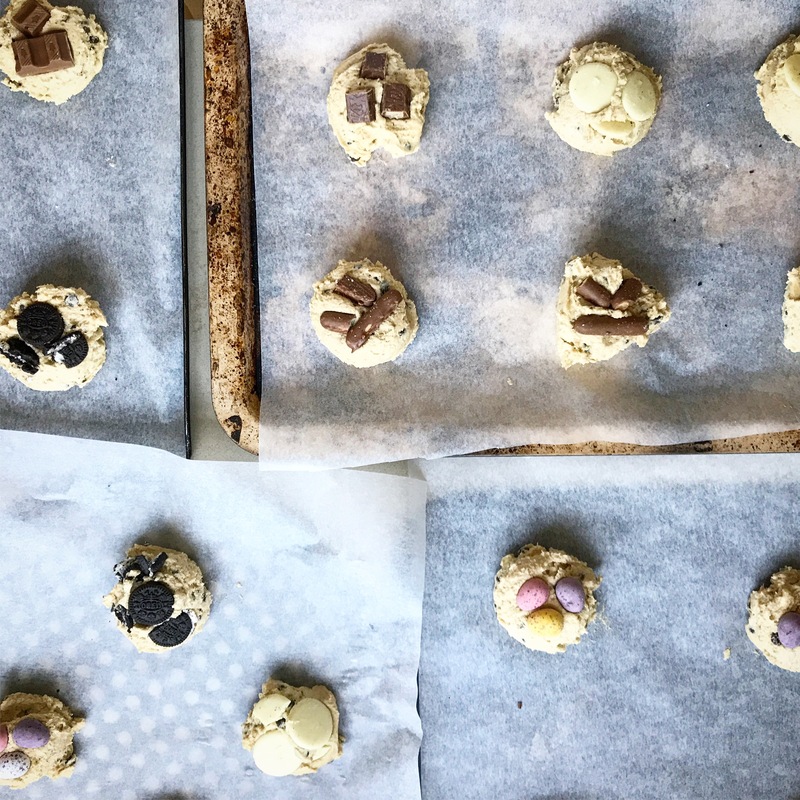 Today’s recipe is the ideal bake to go alongside my pregnancy (I think i’ve made about 10 batches) as biscuits and chocolate were the things I wanted the most. 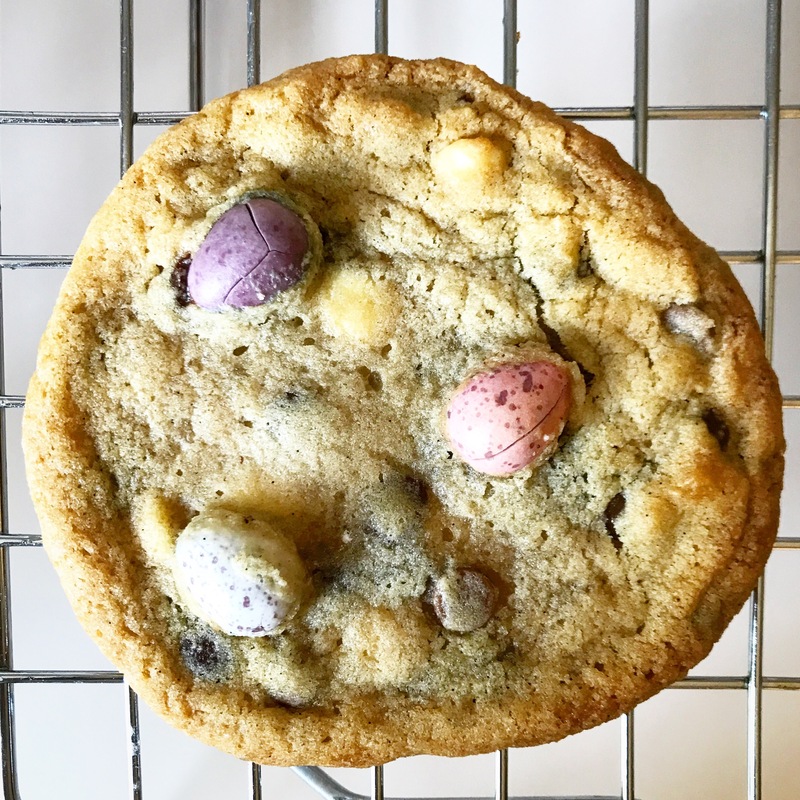 I love these cookies as they don’t have too many ingredients, they are fairly quick and easy but they still scratch the baking itch and make you feel like a domestic goddess. 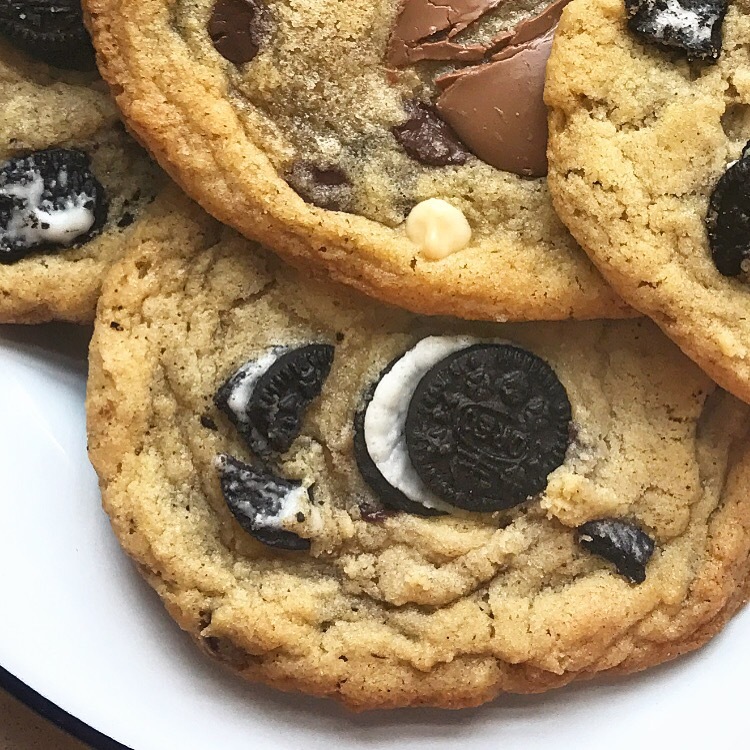 You can add whatever toppings you want to the cookies – diced Kit Kat, Snickers, nuts, Jelly Tots, Kinder Bueno…the list is endless. 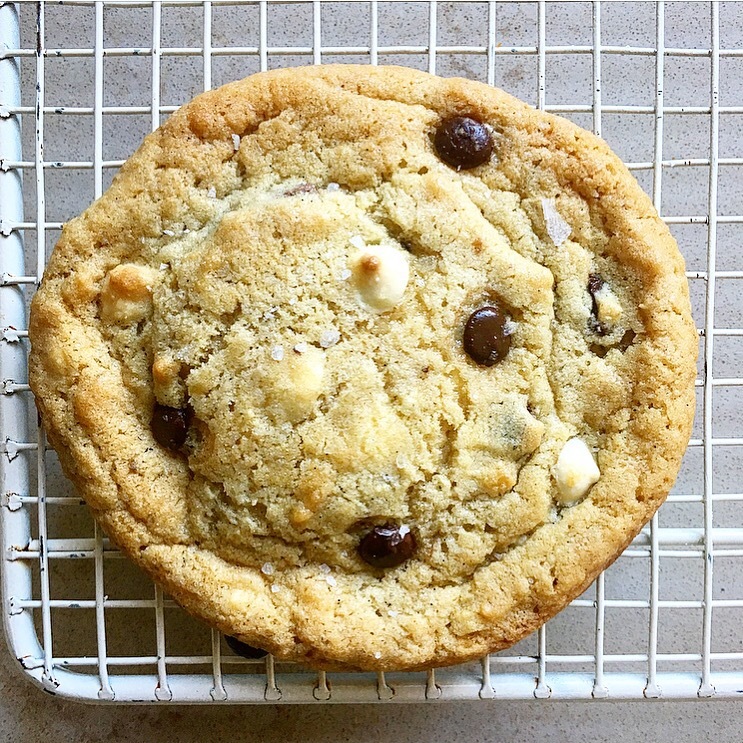 Or leave as the classic triple chocolate chunk. 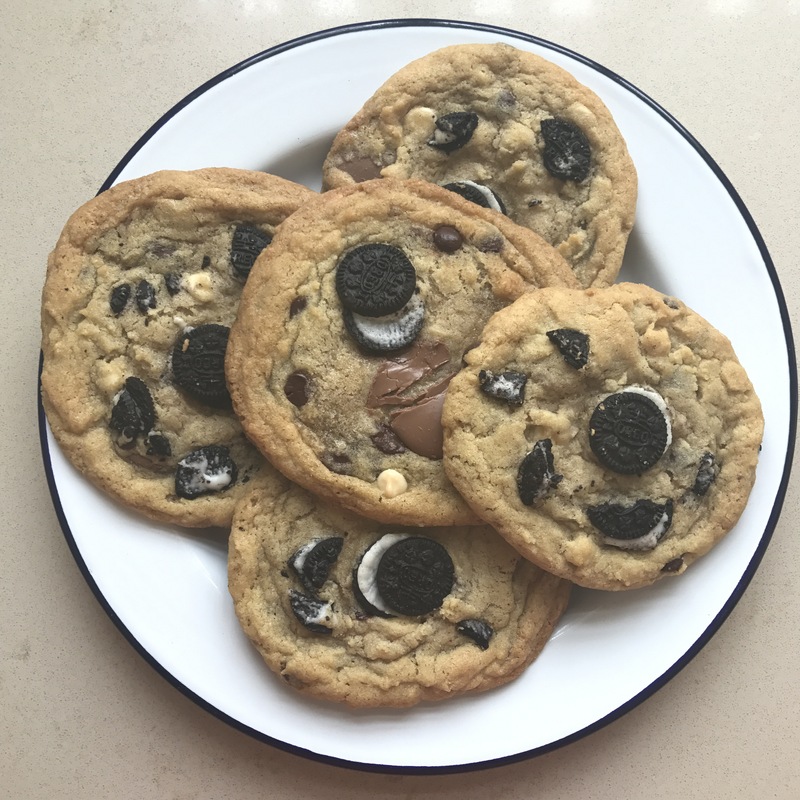 They also freeze well so make a batch and freeze half and you’ll always have freshly baked cookies on hand for any visitors (or late night cravings) Enjoy. Preheat the oven to 190C/170C fan/gas 5. Line three baking sheets with parchment paper. In a small bowl combine the flour, baking soda, and half of the salt and set aside. 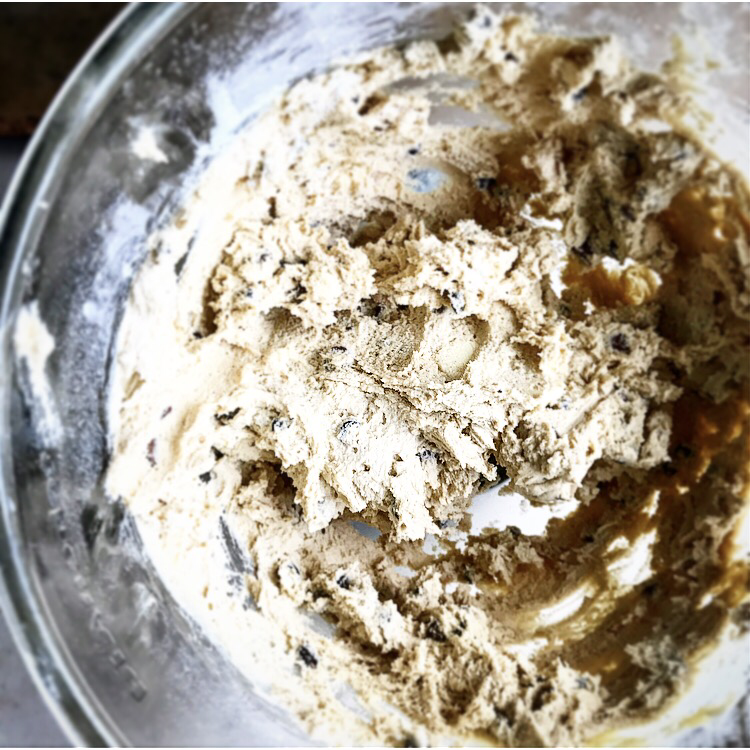 In a stand mixer or using electric hand mixers cream the butter and sugars together until combined, about 1-2 mins. Add the egg and vanilla and mix well. 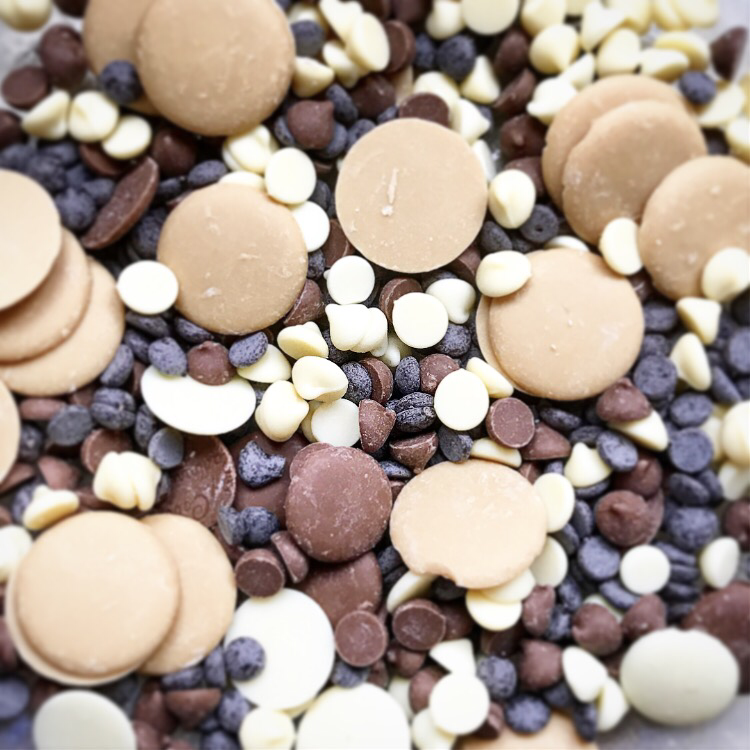 Fold in flour mixture and most of the chocolate (leaving a few chunks to press into the tops if you’re not adding many extras) and mix batter until just combined. Use an ice cream scoop or spoons to form 14 balls. 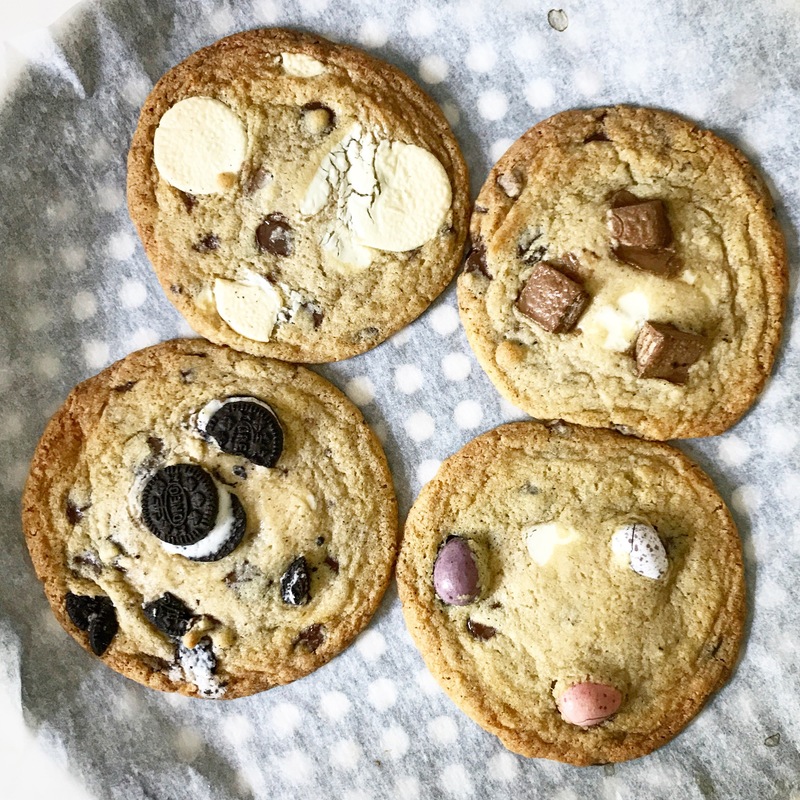 Place on a baking sheet (adding any additional toppings now) well spaced apart as they will spread and bake for 6 minutes then rotate the trays and bake for 6-9 mins more, depending how cooked you liked your cookies. 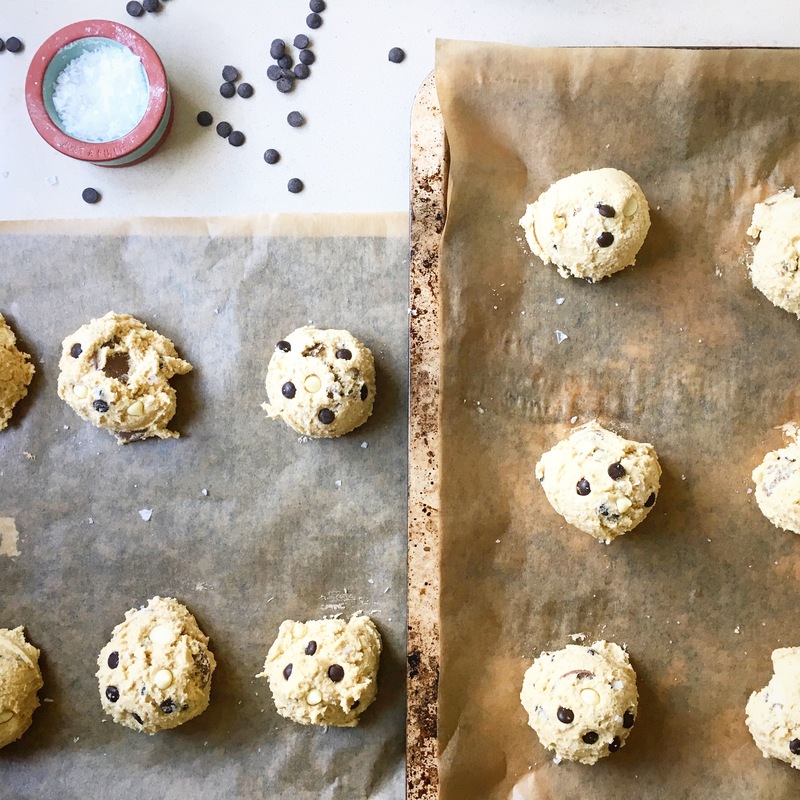 Remove baking trays from the oven and bang lightly on counter to create the lovely lines and leave for 3 minutes to set the cookies, sprinkle with the rest of the sea salt. 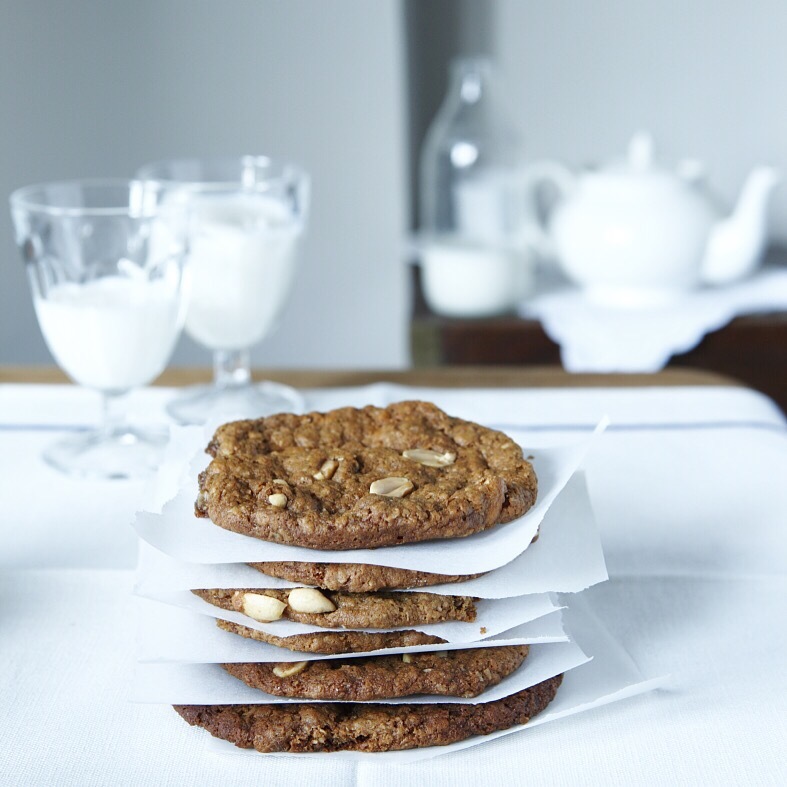 Gently use a fish slice to lift the cookies on to wire racks until completely cool. Previous Post Sticky Sausage & Veg Traybake with Caramelised Onion Gravy & Cheesy Croutons.